“Judges’ strength has been put in cold storage for past three decades. You cannot blame the judiciary alone for the high number of pending cases. In some petitions, we have to dispose ourselves in extremely stressful conditions. I request your Government to address the issue”, said an emotional Chief Justice of India today at CJ-CM Conference in presence of PM Narendra Modi. Justice Thakur also pointed out that in 1987 the Law Commission of India had said that there should be 50 judges per 10 lakh population and the successive governments have done nothing in this regard. No point of Make in India or FDI if judiciary can't function without efficacy, it is important to have more judges ", CJI remarked. 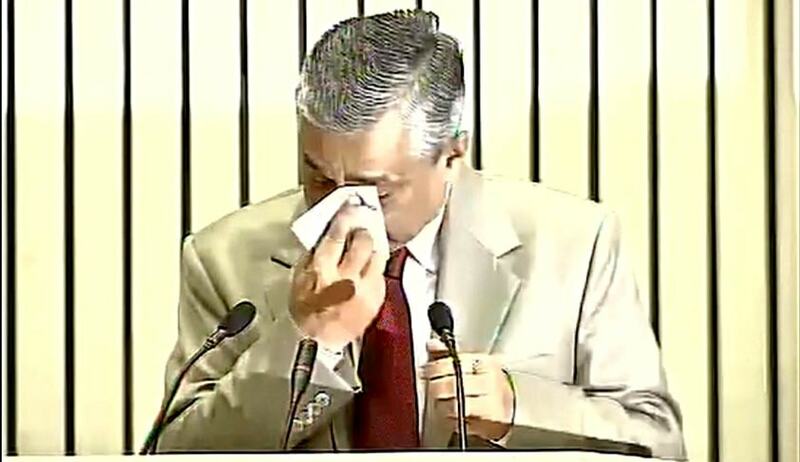 On why he turned emotional and broke down, the CJI said at the fag end of the speech: “If nothing else has worked in terms of the improving the condition of the judiciary, an emotion appeal may perhaps I thought”. Significantly the CJI said 50 percent of the proposals for high court judgeship have been turned down. Referring to the speech of the Chief Justice of India, where he spoke of the large number of cases pending in various courts in India, the Prime Minister said that he understood the Chief Justice’s concern. He said that going forward, he hoped that the Government and the Judiciary could work together to find solutions to these issues. The Prime Minister also stressed on the efforts being made by the Government to remove archaic laws from the statute books. PM PROPOSES CLOSED DOOR MEETING?